Metro VW is the Dealership near me to find the best deals on the 2018 VW Atlas for sale. How much is a 2018 VW Atlas? 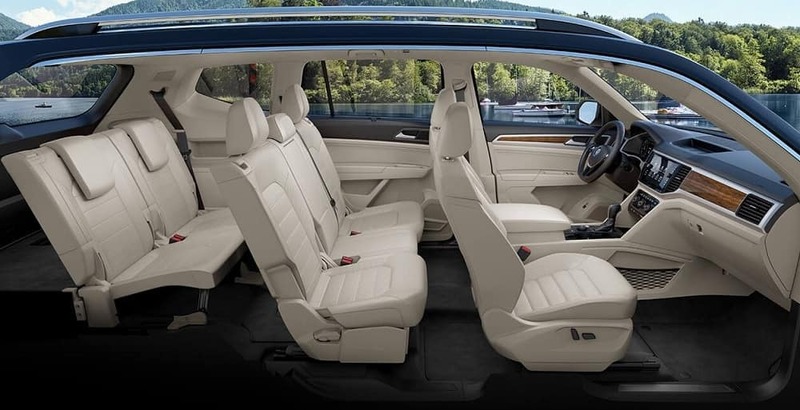 If you are looking to buy a 7 passenger luxury SUV that offers competitive levels of technology and the spaciousness of a large luxury crossover, then you should check out the newest and one of the most prominent members of the Volkswagen lineup. The 2018 Volkswagen VW Atlas in Fort Worth Dallas TX Area located in Irving is a car that is unlike others. Its driving dynamics, luxurious features, consistency, and attention to detail makes it one of the most complete vehicles in the segment. It is offered with powerful engine choices that allow you to stay ahead of the competition. The interior is spacious and packs plenty of room for both passengers and cargo. In terms of versatility, the vehicle happily adapts to and accommodate whatever the occasion demands of it. It allows easy access to the third row even without you removing any child seats, as all you have to do is slide and tilt the second-row seats forward. To help guarantee your safety, the vehicle offers a host of driver assistance features such as a post-collision braking feature that is meant to help prevent a collision. This passive safety functionality automatically tightens the seatbelts and apply the vehicle’s brakes to avoid further accidents soon after the airbag sensors have detected that a crash is occurring ahead of you. 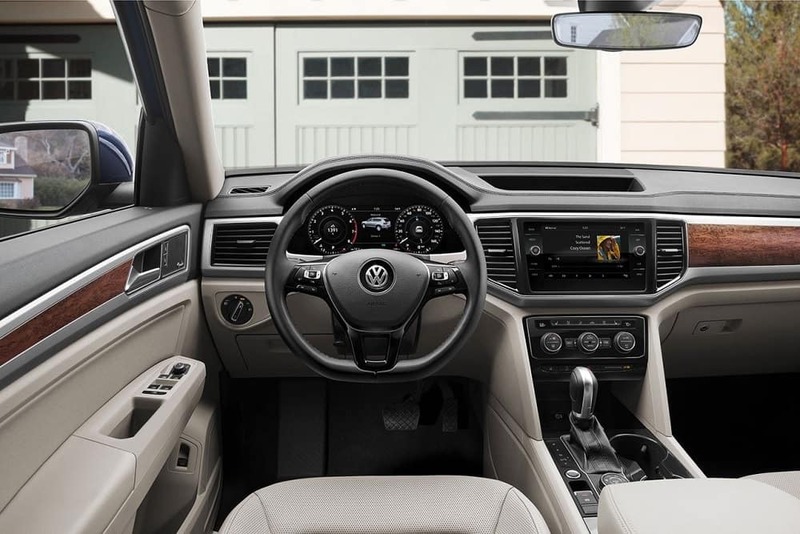 The interior of the 2018 Volkswagen VW Atlas in Fort Worth Dallas TX Area located in Irving delivers the distinctive design and craftsmanship that cements its reputation as one of the most elegant, robust, and upmarket vehicles on the market today. It offers family-ready cargo and passenger volume and the everyday usability you would expect from an SUV. Advanced ambient lighting has been equipped to highlight the upscale character of the vehicle further. A lot of efforts have been made to deliver a high-end material class that helps to lift the ambiance of the cabin. And as with the very best of automobiles, you should always prepare for the ultimate in high-tech rides whenever you hop into this car. For maximum indulgence, an intuitive, customizable 12.3-inch digital display is provided as an option to display information that is tailored to your driving needs. Driver controls have been positioned such that they ensure optimal ergonomics and usability. The comfortable cushions help to enhance involvement behind the wheel. Everything, from the position of the seating to the shifter height and even the space between the pedals have been fine-tuned to help ensure your driving comfort. You will find that the premium leather seating surfaces as well as the heated outboard seats for the second-row help to provide more exceptional comfort. The exterior design of the all-new 2018 Volkswagen VW Atlas in Fort Worth Dallas TX Area located in Irving builds on the Volkswagen’s modern and muscular design DNA that is characterized by clean lines and dynamic proportions. It has been engineered from the manufacturer’s Modular Transverse Matrix (MQB) architecture which aims at extending both vehicular length and width to improve aerodynamics. Over at the top of the vehicle, you will find a large panoramic sunroof with a two-part glass opening system as well as powered sunshade that allows you to see more of the big blue sky and starlit night. Also, you can slide tilt open the feature with just the touch of a button to soak up the breeze of the open road. Even more, the vehicle is brighter, bolder, and is more energy efficient, thanks to its LED headlights with signature daytime running lights that are quick to turn heads. Also featured is a power tailgate with Easy Open functionality that allows you to pop open the liftgate with a kick of your boot. All you need do to pull off the trick is to have your key fob on you. At first sight after popping the bonnet, then 2018 Volkswagen VW Atlas in Fort Worth Dallas TX Area located in Irving will give you two engines. – a 3.6 liter V6 engine with 276 horsepower and 266 pound feet of torque that is paired with an eight speed automatic transmission with either a front- or all-wheel drive. And EPA values of 18mpg city, 25mpg highway for the FWD, and 17mpg, 23mpg for its AWD version. The second debutant is a 2.0-liter turbocharged inline 4-cylinder engine which also makes use of an 8-speed automatic transmission. It also comes with an advantage of offering a decent fuel economy, as well as nearly much torque. It makes 235 horsepower and 258 pound feet of torque. It has EPA values at 22mpg city and 26mpg highway. With the all-wheel drive equipped, you will also get driving mode selections. Most prominent is the Off-road modes which lets you determine the ideal setup with respect to the type of terrain and weather you encounter. 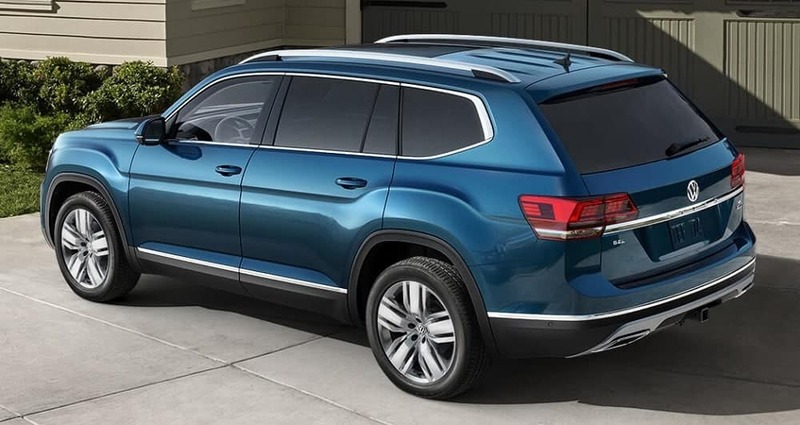 The new 2018 Volkswagen VW Atlas in Fort Worth Dallas TX Area located in Irving does not only distinguish itself with numbers, it also separates itself from the crowd with five amazing trims. S Trim: Incorporates cloth seating, a rearview camera, a bench seat in the second row, dual zone manual climate control, power operated mirrors, LED headlights, and cruise control. It also features a 6.5-inch touchscreen interface offering Apple CarPlay, Bluetooth connectivity and Android Auto. There is also sub limited which will run on V6 engine and comes with additions such as the panoramic sunroof, an 8-inch touchscreen, Home Link programmable garage door opener and satellite radio. SE Trim: upgrades to this trim to include simulated leather upholstery, a blind sport monitoring, automatic headlights, push button start, heated front seats, power driver seat, rear sunshades, a large 8-inch touchscreen interface and an optional captain’s chairs located in the second row. SE W/Technology Trim: This trim starts off from the SE’s equipment and adds remote engine start, power rear liftgate, automatic three zone climate control, lane keeping assist, adaptive cruise control and an automatic emergency braking. SEL Trim: Includes panoramic sunroof, park distance control as well as two available options – black 20-inch wheels, and the R-Line appearance package plus, power adjustable front passenger seats. SEL Premium: This comes with most of the exclusive features such as Volkswagen Digital Cockpit (an interior display replacing the standard gauge cluster with an intuitive video screen that can be easily tweaked to display a wide range of information beyond speed, temperature readings and fuel). This trim is also adorned with LED taillights, an upgraded touchscreen, full leather seating, navigation, as well as a parking assist system and the R-Line appearance package as a standard feature.